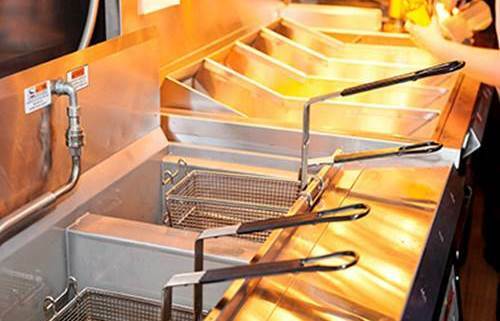 Heatrex manufactures accurate, sturdy immersion heaters that can be used in food industries. Immersion heaters can be immersed directly into the medium that needs to be heated. The types of immersion heaters will differ with their installation aspects. They may be installed in screw plug, flanged, or over-the-side position. 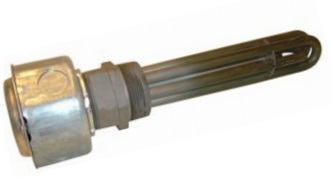 A screw plug heater is composed of tubular heating elements welded into a NPT fitting. This heater will directly screw or plug into the system through a threaded opening. What makes this heater suitable for varying range of industrial applications, is that it is easy to operate and it is energy efficient. A flanged heater is constructed of tubular heating elements that are welded a flange. This heater is also suitable for a varying range of industrial applications, and is easy to operate. This heater is designed to be used in systems that do not allow side heating due to their construction. These heaters are easily removed for cleaning and maintenance. External design; can the system be broken down or does it have fixed parts? If you like to speak with a Heatrex representative about your need of an immersion heater for your food industry application please visit our website. POWER-GEN International is the world’s largest power generation event focusing on the industry’s latest innovations, technical trends and business strategies. POWER-GEN International includes a broad range of qualified power professionals with the power to purchase. Throughout the years, POWER-GEN International has covered it all, providing a world stage for the innovations, ideas and solutions that have formed our industry. With a record-setting expected attendance of more than 22,000 attendees and 1,400 exhibitors, there’s simply no other place to be for education, networking and new business development. View the event highlights and atendees here. The exhibitor List/Search can be filtered by product and geography to plan how to see as many people as possible, and make the most of your time there. Heatrex is showing at PowerGen.Booth #849, come see us! On the home page of PowerGen there is vote for your favorite t-shirt. The first 2,000 get a free t-shirt. Covering every aspect of the power generation industry, POWER-GEN International, NUCLEAR POWER International, Renewable Energy World Conference & Expo North America, COAL-GEN and GenForum converge in 2015 to form POWER GENERATION WEEK. Benefit from five days packed with pre-conference workshops, technical tours, more than 70 conference sessions, panel discussions, three exhibition days and multiple networking events. Gain access to nearly every facet of the market – all under one roof. Featuring the world’s largest industry exhibit floor with more than 1,400 exhibiting companies from around the world, POWER-GEN International is the industry’s premier platform for numerous new product launches and unveilings—a showcase for products and services such as boilers, turbines, engines, boiler water and feed water treatment services, computer hardware and software, controls and instrumentation systems, engineering and construction services, generators, plant electrical systems, pumps, valves and valve actuators, and more. With an international audience representing more than 90 countries, POWER-GEN International matches more qualified buyers and sellers than any other power event. Take advantage of face-to-face networking with more than 1,400 leading energy companies showcasing the latest, most important products and services impacting the industry. More than 200 industry experts will present new solutions and innovations for the future in more than 40 conference sessions broken up in 13 tracks offering full conference attendees a chance to earn Professional Development Hours (PDH). Renewable Energy is covered in the Renewable Energy World Conference & Expo North America conference sessions.Click here to learn more about Renewable Energy World Conference & Expo North America. Nuclear Power is covered in the NUCLEAR POWER International conference sessions. Click here to learn more about NUCLEAR POWER International. Coal is covered in the COAL-GEN conference sessions. Click here to learn more about COAL-GEN. Proper selection ensures a safe thermal fluid system that will provide peak performance for many years. 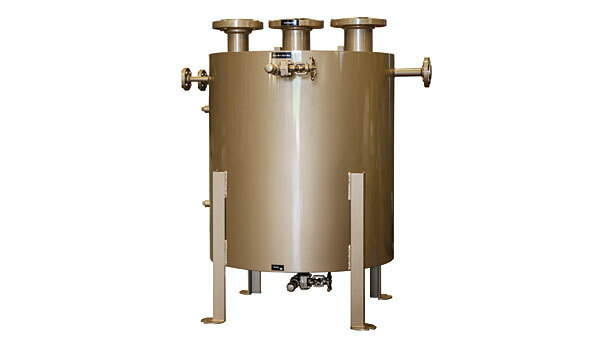 A catch tank, used to safely collect discharge, is a critical component of a thermal fluid system. 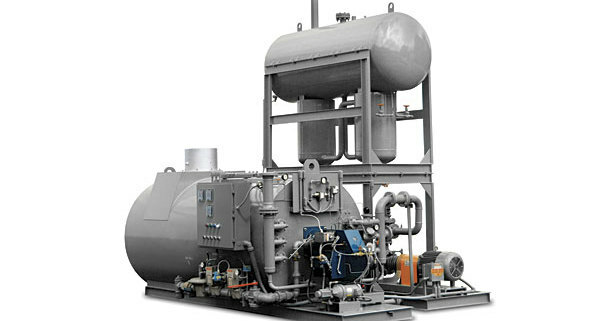 Depending on the level of system complexity, one could also use additional system controls, control valves, secondary loops, heat exchangers or countless other system variations. But every system should include — at a minimum — the core pieces of equipment listed above. Here are a few tips to use as a baseline to help size and select each of these core pieces of equipment in a basic thermal fluid system. An expansion tank, or combustion/thermal buffer/deaerator tank, can be selected based on determining the total system volume, maximum operating temperature required and the specific thermal fluid to be used. They are often skid-mounted as part of the thermal fluid system. Q is the heat required. M is the quantity of material being heated. ΔT is the difference between final temperature and initial temperature. This calculation must include the product being heated as well as the vessel containing the product and any piping that carries the hot fluid to the product. Remember that the vessel must heat up in order to heat its contents. Heat losses also must be taken into consideration, and proper engineering practices must be followed to determine an appropriate safety factor. A thermal fluid heater such as the one in this vertical coil engineered system can provide peak performance for many year. 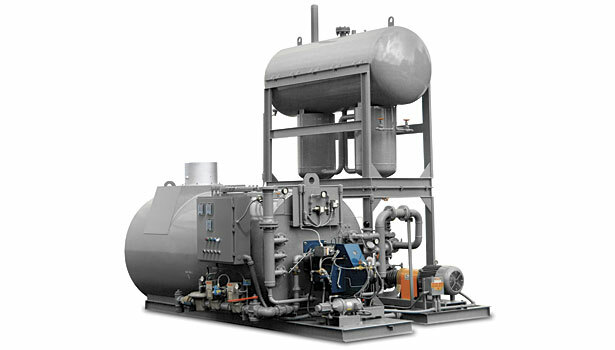 A thermal fluid system operates in a closed-loop circulation system with minimal pressure. In many cases, the standard flow rate of the heater can be used as the system flow rate. This is always the simplest approach. For heaters with a fixed flow rate requirement, having a system flow rate requirement that is different than the heater flow rate presents some additional design challenges. In these situations, if the user requires a higher flow rate than can be passed through the heater, a heater bypass is required to carry additional flow around the heater. If the user requires less flow than is required for the heater, the heater must still see the required flow rate, so then a system bypass may be required to manage the additional flow around the user. 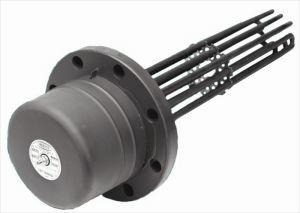 Alternatively, a three-way control valve may be considered to divert the additional flow around the user. Q is the heat being transferred to the user from the thermal fluid. ΔT is allowable temperature drop for the thermal fluid across the inlet and outlet of the user. Read more about sizing here. Electric duct heaters can be installed in several forms, but the most popular are slip-in and flanged mounting. This following article will give you a basic understanding if you want to compare and contrast these two. For existing ducts and retrofits, flanged mounting like that available on the HEATREX QUZ model is usually preferred. form four flanges. These flanges are bent into place around the perimeter of the duct on both sides of the cut. Using bolts or sheet metal screws the heater is mounted. For larger heaters, additional bracing can be installed, if necessary. For new construction, however, a hole is simply cut in the side of the duct and the heater simply slides into the pre-fabbed hole. To hold the heater in place, sheet metal screws are used with additional bracing as required. The process can also be applied to fiberglass ducts provided sheet metal liner – extended in to the duct at least 6″ on both sides of the heating elements-is used to protect the fiberglass material. The HEATREX QUA model is and excellent slip-in option in these cases in particular, for open coil applications especially. Finally either of these electric duct heater options can be custom-built for any-size duct or any unusual placement or installation. For more information about the installation of our electric duct heaters – flange or slip-in mounting – please visit us online at HEATREX.com or call us directly at (800)394-6589. Screw plug heaters are a type of immersion heaters that can heat liquids and gases in a variety of applications. 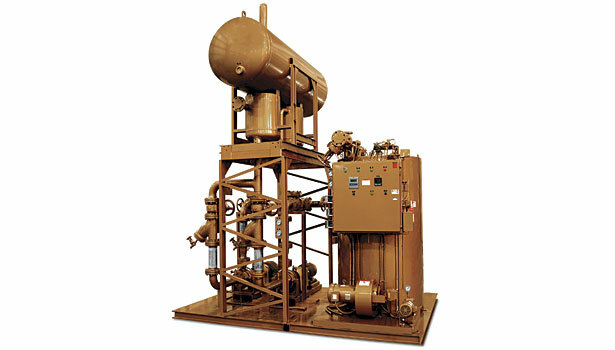 They can be used to process water heating and freeze protection. Heatrex offers many different screw plug heaters that can provide direct heating at an energy-efficient cost.